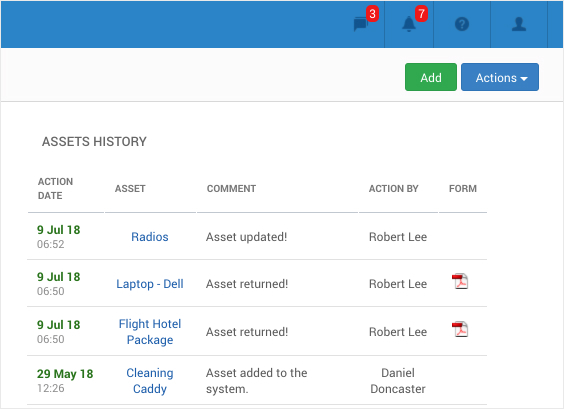 See the latest assets added to your system, signed out or returned by your workers with return forms. 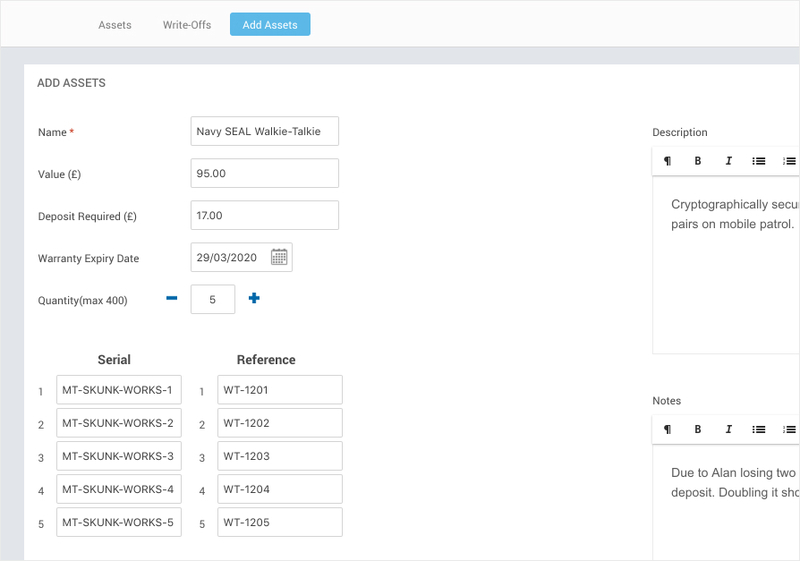 or current state for a quick overview of your inventory. numbers with a single click. Include notes, deposits and warranty dates.